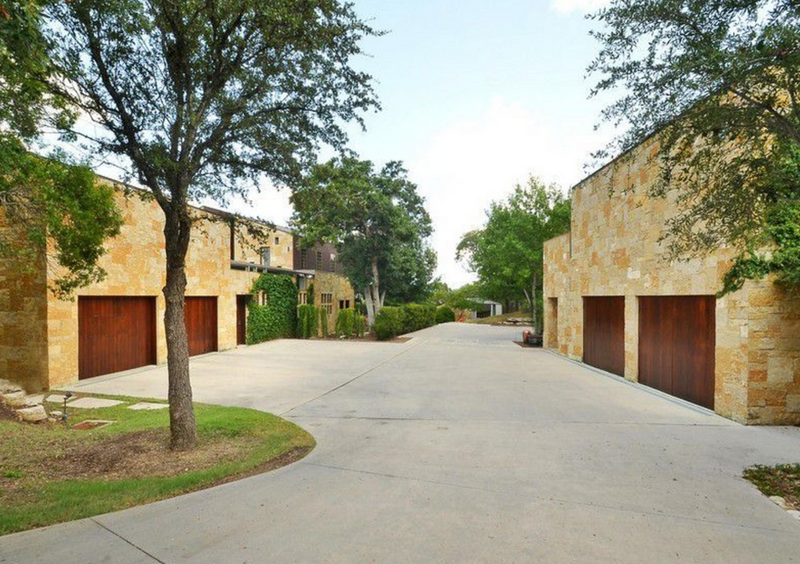 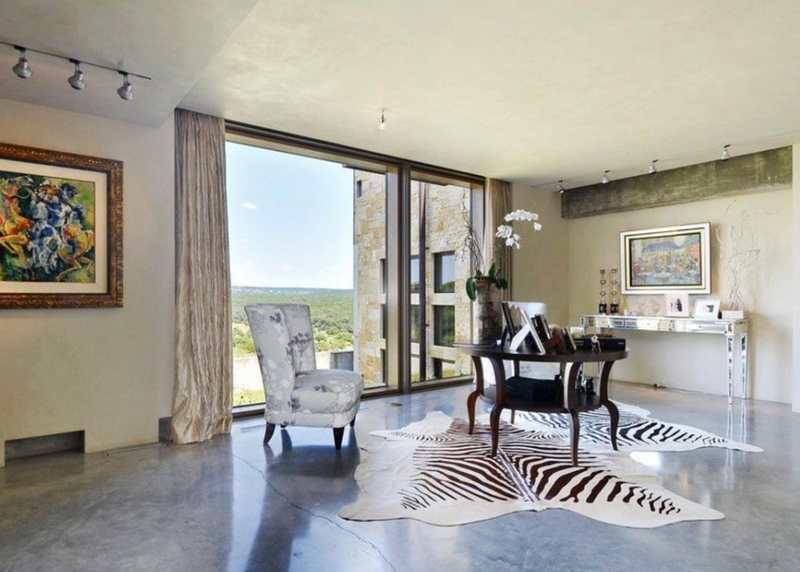 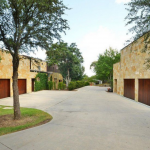 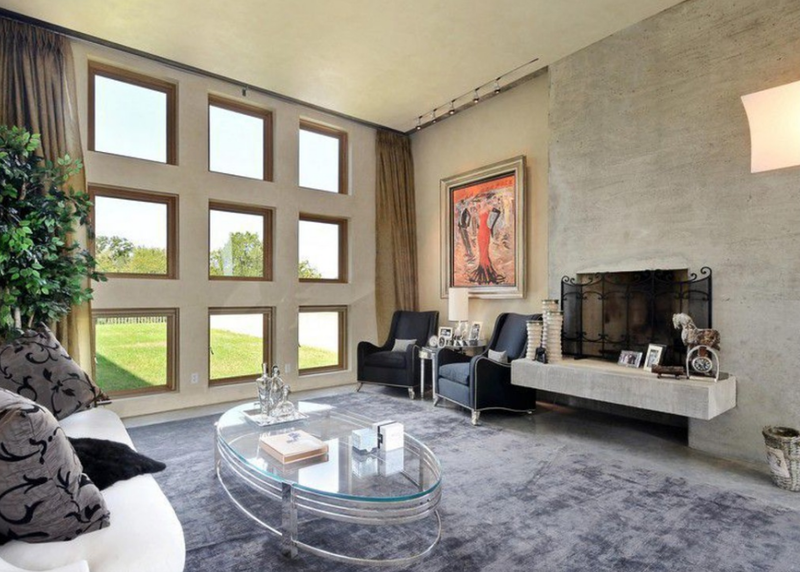 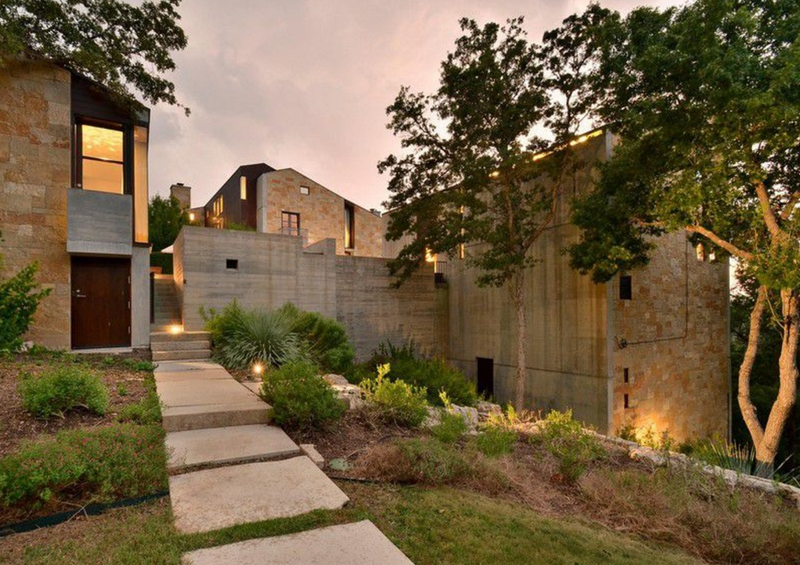 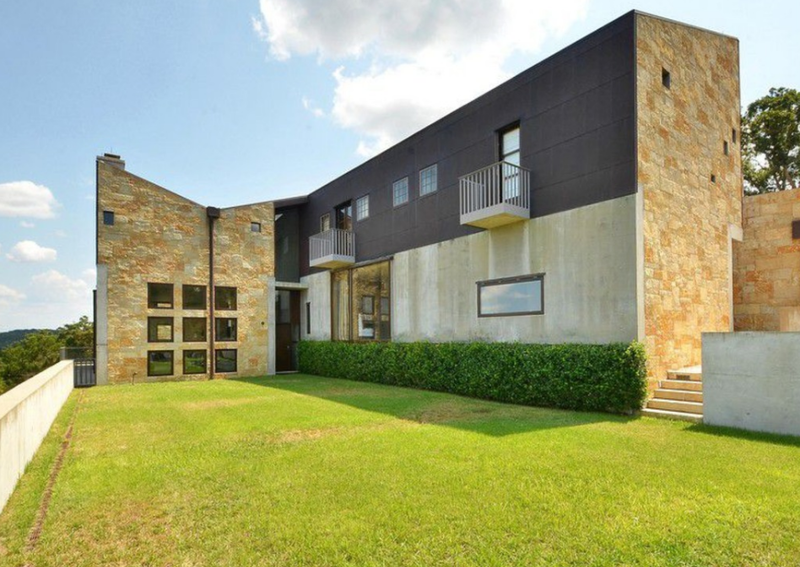 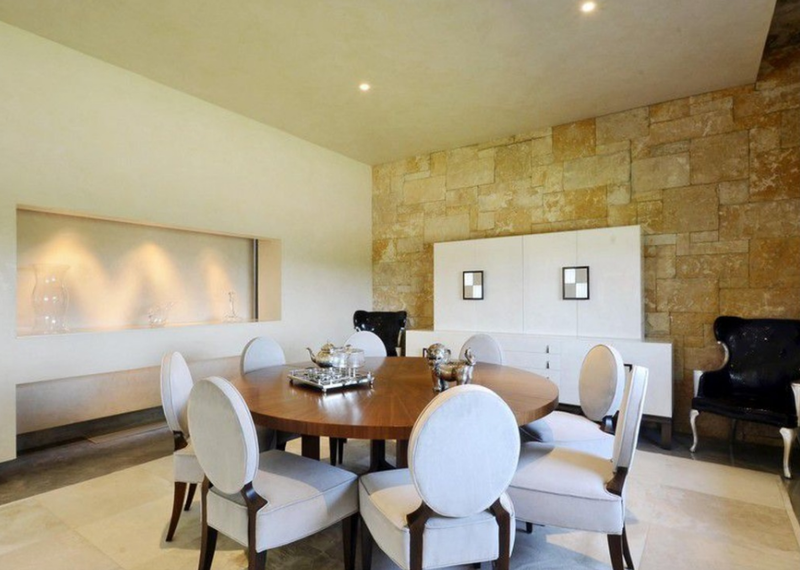 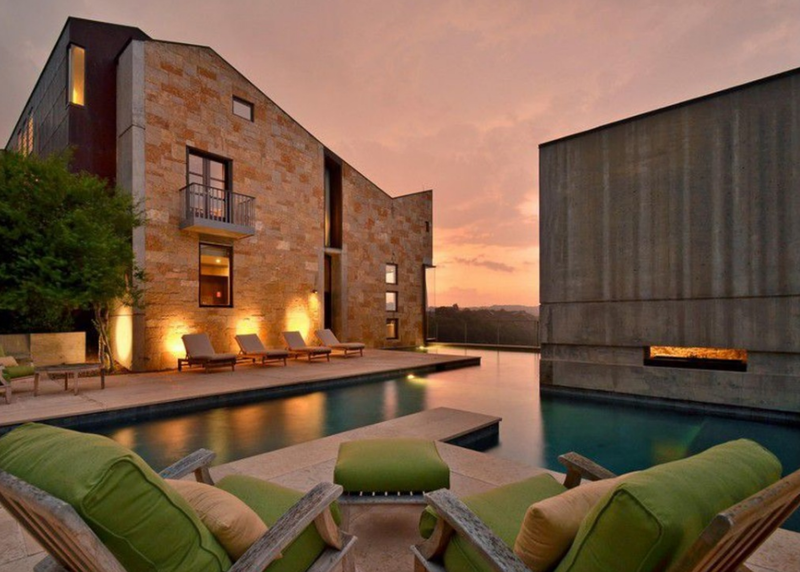 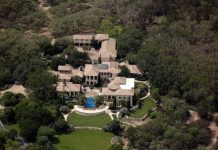 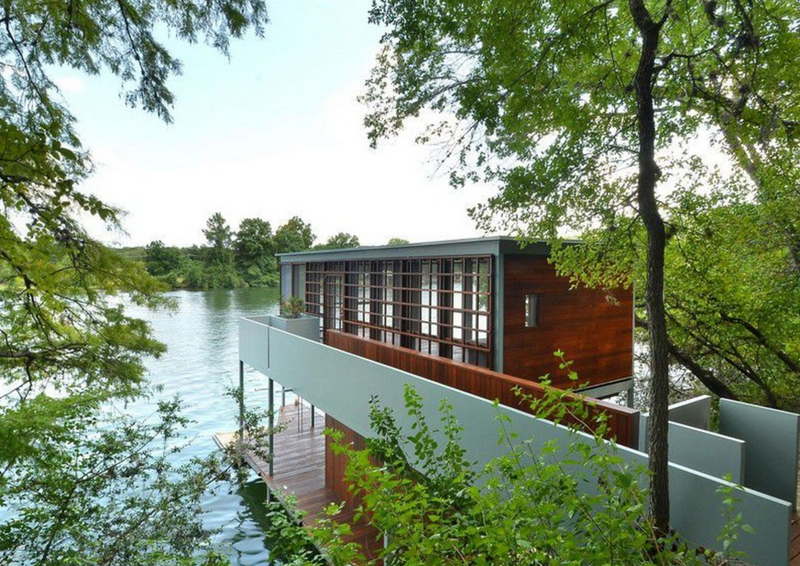 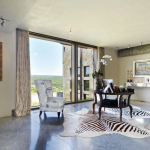 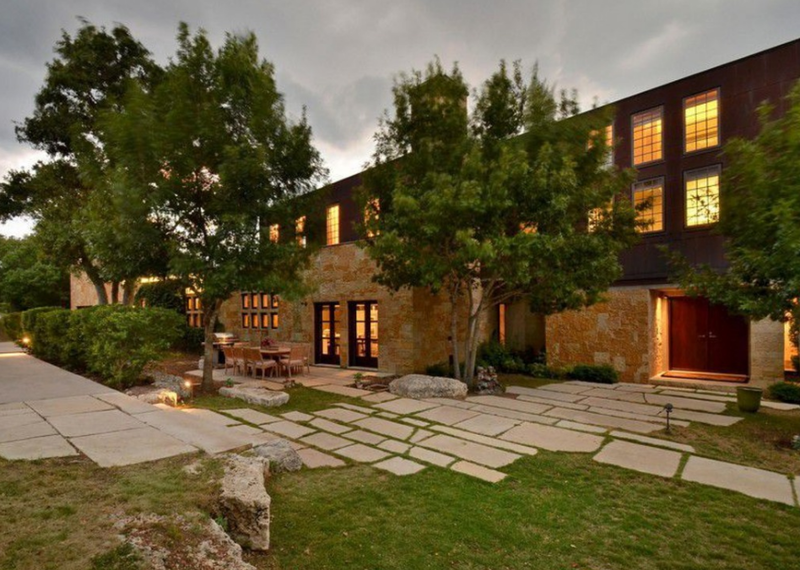 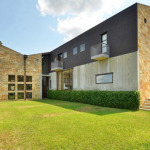 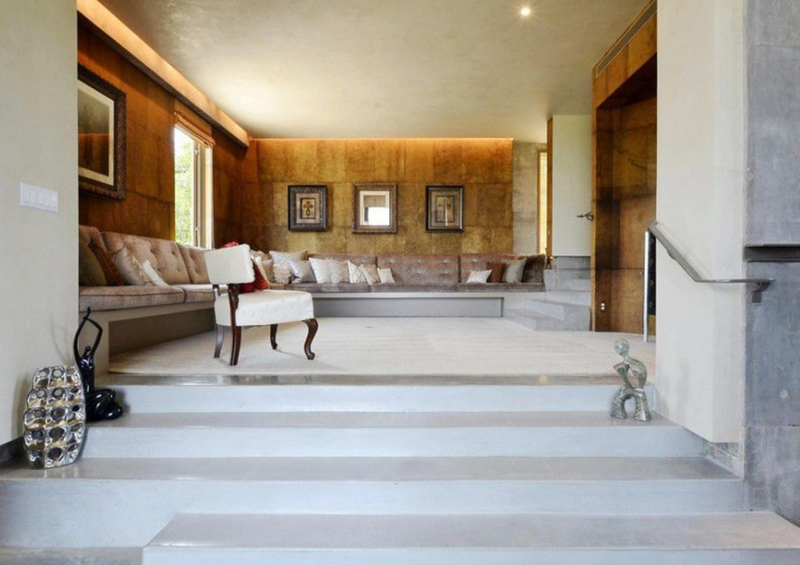 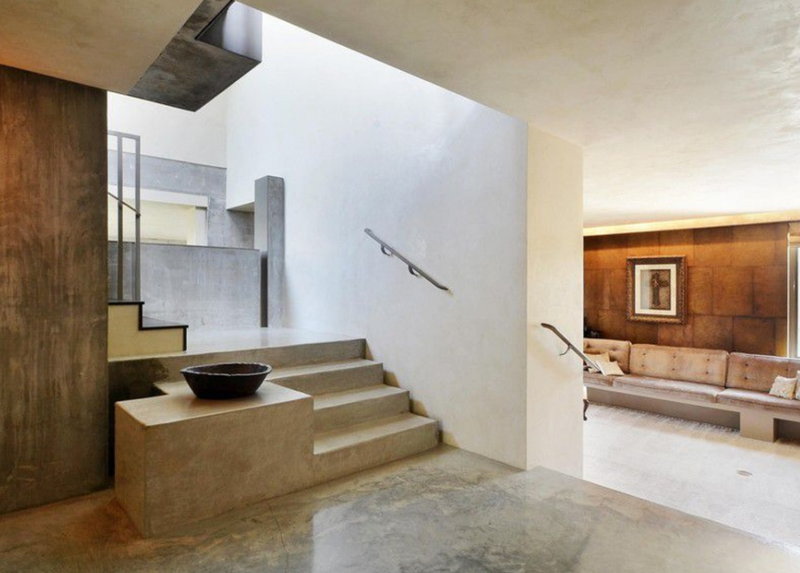 This Contemporary style compound is located at 1009 N Weston Lane in Austin, TX and is situated on 3.6 wooded acres. 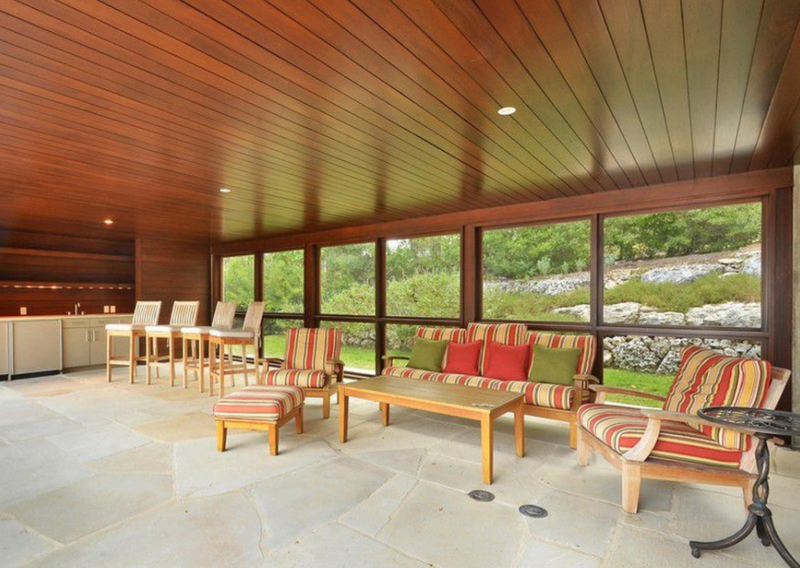 It was designed by Andersson-Wise Architects and features 4 separate structures; a main house, guest house, detached 2-car garage (as well as a 2-car attached garage) and a covered entertainment building. 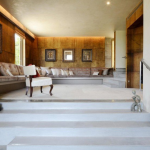 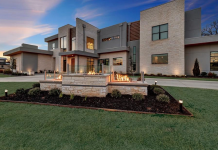 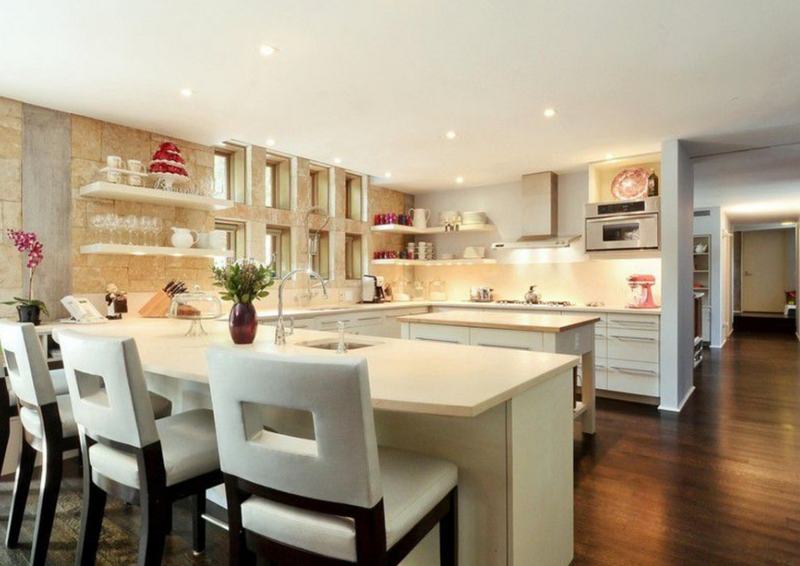 It was built in 2002 and features a combined 12,553 square feet of living space with 6 bedrooms, 5 full and 3 half bathrooms, foyer with concrete stairs, formal living and dining rooms, gourmet kitchen, family room and more. 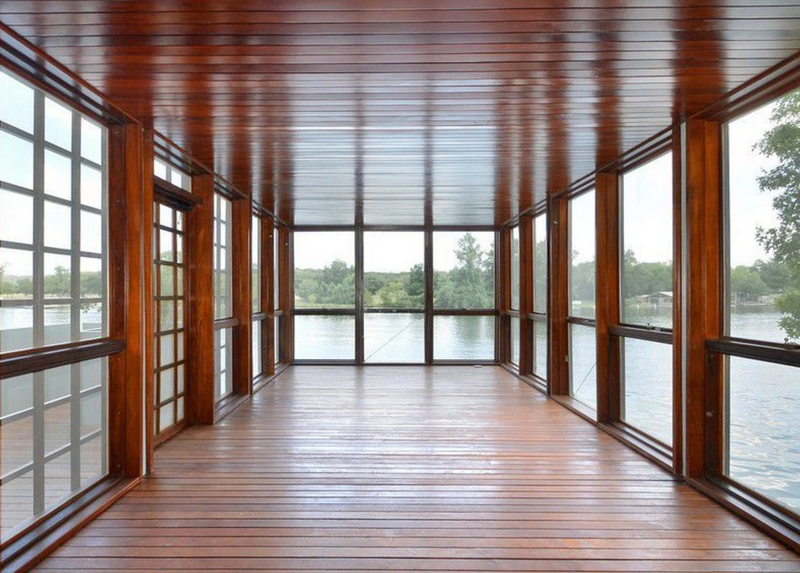 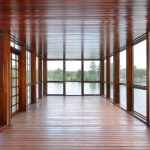 Outdoor features include a patio with swimming pool, fireplace, flat lawn area and a steel cabled bridge leading to a boat dock with boathouse.